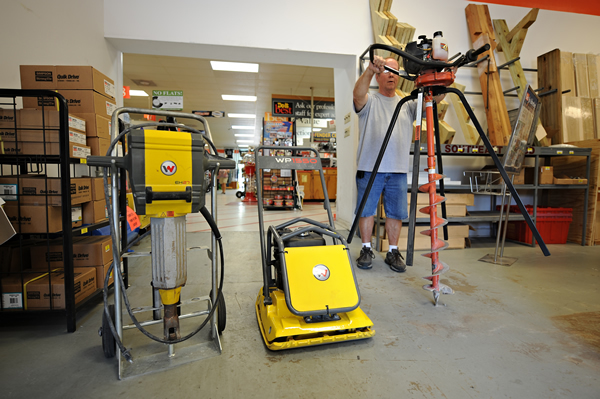 In our rental center, you can find various light equipment, such as screw guns, electric jack hammer, pressure washer, carpet cleaners, post hole diggers and the plate compactor or Wacker for packing down ground before you pour concrete. We also rent our boom truck to be run only by our operator for $175 an hour from the time he leaves the store until the time he returns. Please call or come in for details and availability.